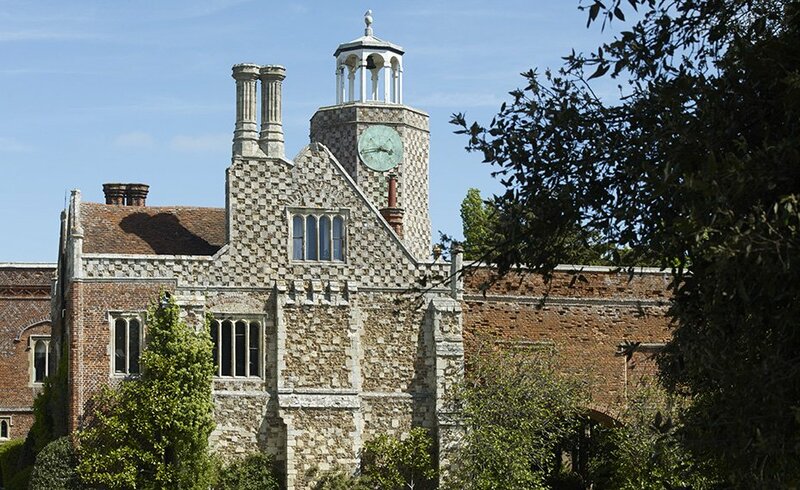 The St Osyth Priory Estate is comprised of a unique range of heritage buildings, environmental and ecological features. 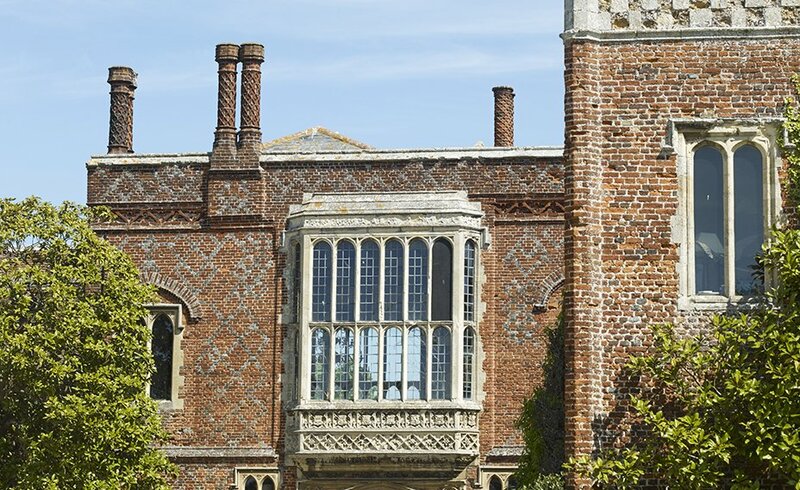 The buildings alone comprise 22 separate Grade I, Grade II* and Grade II listed buildings and a number of Scheduled Ancient Monuments together with the registered park and garden. The parkland is set adjacent to the River Colne Estuary Site of Special Scientific Interest which is an extensive wetland habitat of national and international importance for a wide range of wildfowl, invertebrates and salt marsh plant communities. 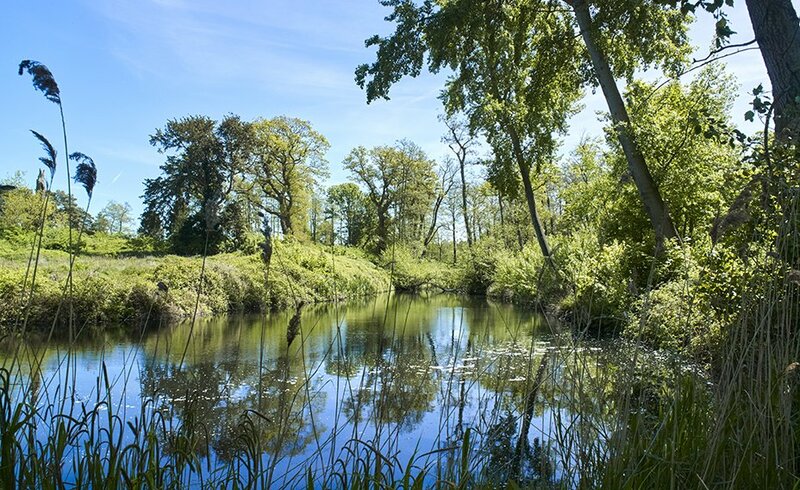 It is also a County Wildlife Site containing a mosaic of historic ponds and avenues, woodland, reed bed and veteran trees combined with extensive wetland habitats which now provide complementary habitat for the birds and other wildlife using the estuarine marshes. 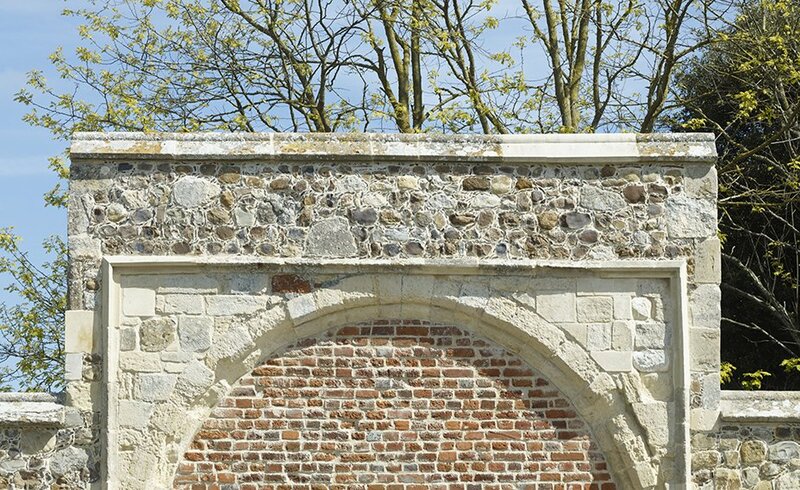 The St Osyth Priory Estate is of such significance as it has a social and cultural history dating back over 900 years with structures still in place from the monastic period and it is essential that it is preserved, restored and protected for the benefit of future generations. We are pleased to announce that planning consent was granted in November 2016 to develop newly built homes in the West Field and The Park at St Osyth Priory. As part of the plans we have been granted permission to restore and convert the Tithe Barn into a Visitor Centre/Wedding Venue. Further to this, we will also be restoring and converting The White Hart Public House into restaurant/pub with holiday accommodation. 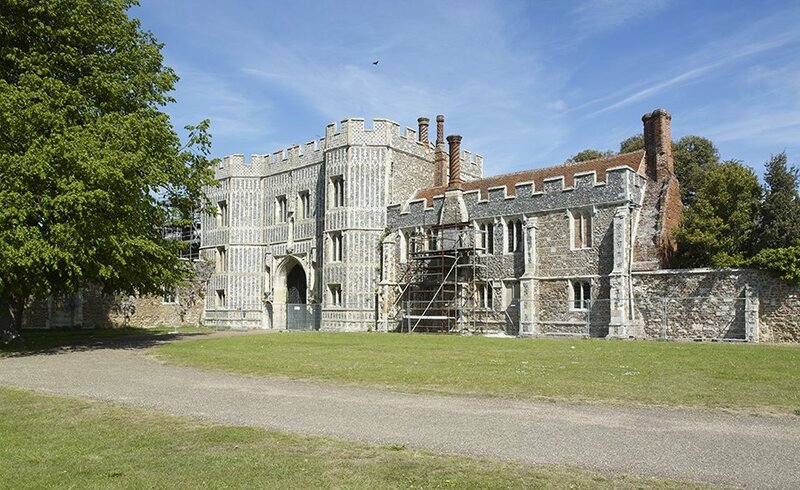 These developments will directly fund the restoration of the key historic buildings at The Priory – which has already started - and the creation the St Osyth Priory and Parish Trust that will work towards attracting grant funding to restore the Abbotts Tower and facilitate the public access to the Priory estate. 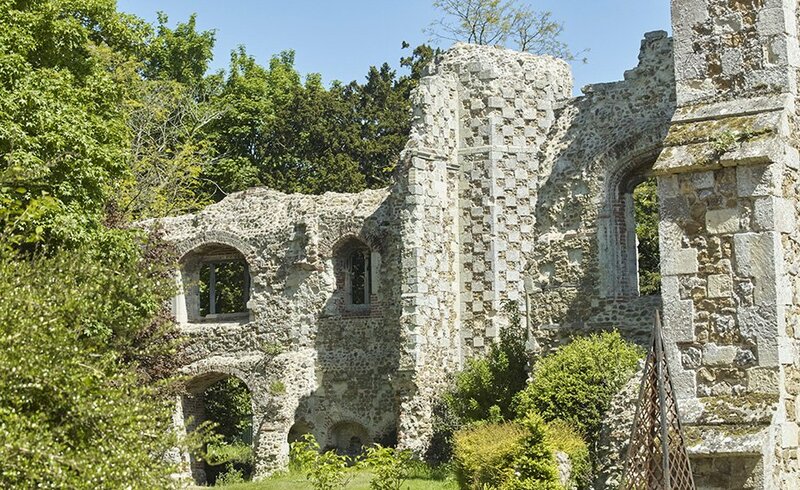 The first nunnery was founded for Osyth, daughter of Redwald, the first Christian King of East Anglia and of Wilburga, his wife, daughter of Penda, King of the Mercians. She was, when very young, entrusted to the care of St. Modwen, at Pollesworth, in Warwickshire. While there she was sent with a book from St. Edith, Alfred's sister, to Modwen, fell off a bridge into a river, and was said to be drowned. Happily she was restored to life by the prayers of St. Modwen. Osyth's parents, as soon as she returned to them, betrothed her to Sighere, King of Essex; on her wedding day a white hart appeared, which Sighere and the rest of the male party went in chase of, allowing Osyth to escape. This white stag appears on the stained glass windows in the Chapel and the hart is also seen on other parts of the buildings too. When Sighere eventually found Osyth she explained that she had vowed herself to Christ, and could not be his wife. Sighere was generous and religious; he accepted her decision, and let her take religious vows. Then he gave her his village of Chich, which became Chich St Osyth, and built a nunnery for her in Nun’s Wood, of which she became the Abbess. The house was of the order of the Maturines. But in October, 653, a band of Danes under Inguar and Hubba landed in the neighbourhood of Chich, and ravaged the country. They came to Osyth's nunnery, and, bringing forth the young abbess into the Nun's Wood, commanded her to worship their gods; she steadfastly refused; they threatened her with scourging and worse torments, but she continued faithful to her own creed: "she would worship only Christ." Then, infuriated, Hubba bade her lay down her head to be cut off. She meekly obeyed. Her head was severed from her body close by the spring, that is called by her name, and which still flows to feed the historic lakes. Her executioners were astonished when she picked up her head and, holding it at arm’s length, walked to the village church, where she knocked several times on the door before slumping to the ground. Legend holds that every October 7th her ghost repeats the miraculous feat, and can be seen in the churchyard at midnight, holding her severed head. 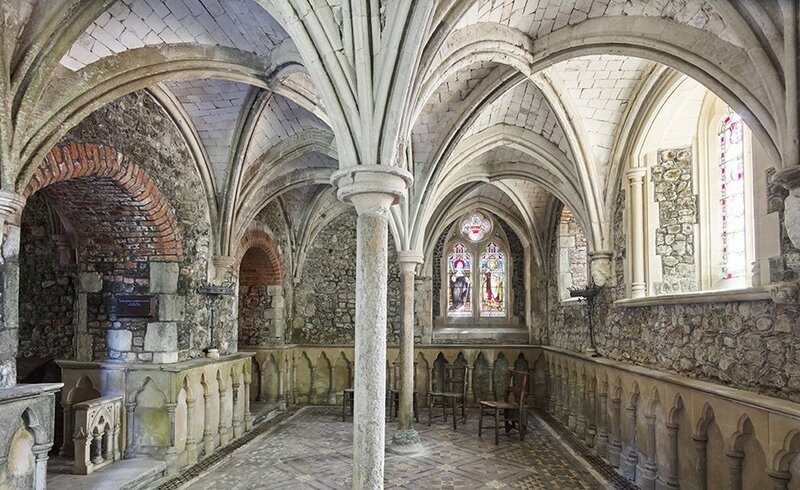 St Osyth Priory is among the most important historic sites in England. 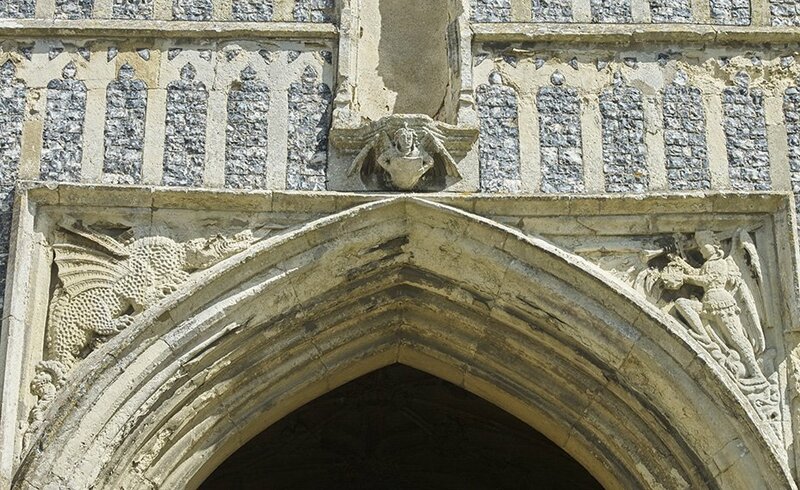 The Priory was founded in around 1120, and remained a home for the Austin Canons for about 80 years. It was raised to the rank of Abbey and became one of the great Augustinian Abbeys of Europe until it was dissolved in 1537. Surviving remains of the estate’s Monastic Phase include parts of the claustral ranges [including the ‘chapel’], gatehouses of 13th and 15th Century and the adjacent 15th Century ranges together with the early 16th Century accommodation which is now subsumed within the present Darcy House [Abbot’s or Bishop’s Lodging]. It is likely that more monastic fabric will be recognised over time, such as the 12th Century roof which has recently been discovered over the Bailiff’s Cottage. 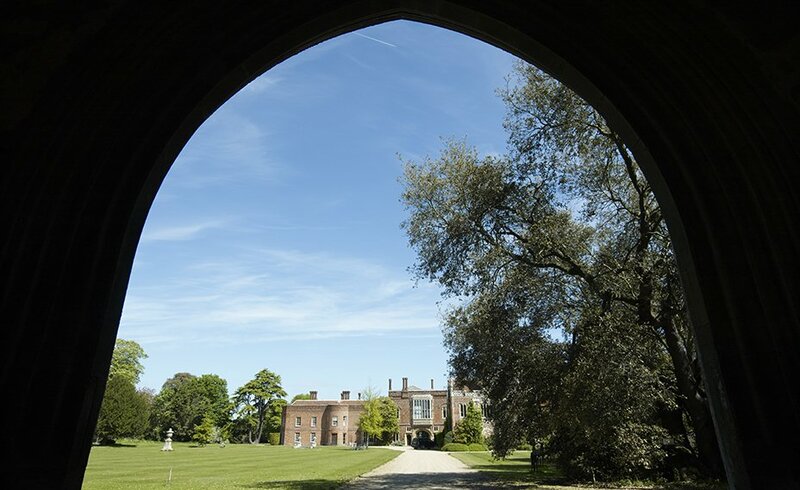 After the Dissolution, the property was granted to Sir Thomas Darcy, subsequently first Lord Darcy, who was responsible for transforming the monastic remains, between 1553 and his death in 1558, into a substantial country house. Much of his building work re-used existing ranges, and his chequer work masonry is visible today on the Abbot’s Tower, the ranges running north and west from it and on the Clock Tower. The third Lord Darcy was created Earl Rivers in 1626, and the estate passed down the Rivers line until 1712. 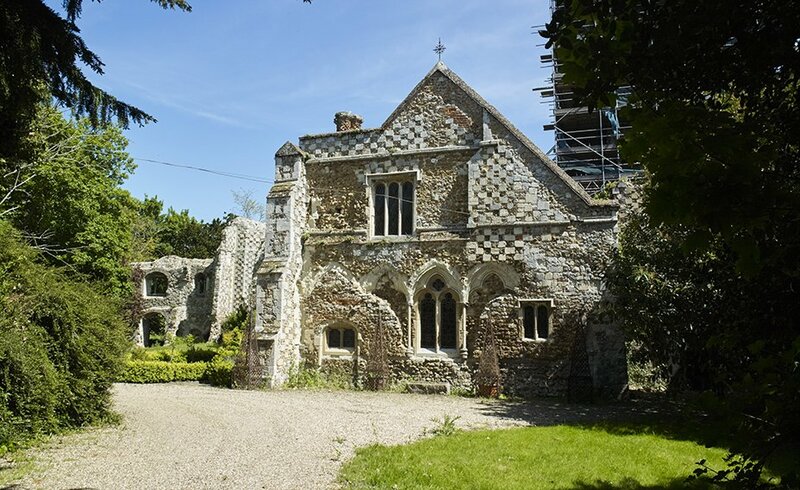 In 1671 the Hearth Tax returns recorded 76 hearths at St Osyth Priory, making it the fourth largest house in the county at the time however the physical extent of the house in this period remains unknown. Much of the scheduled ancient monument dates to this period as do the walled gardens south of Darcy’s Tower and some of the oaks and sweet chestnuts in the park. 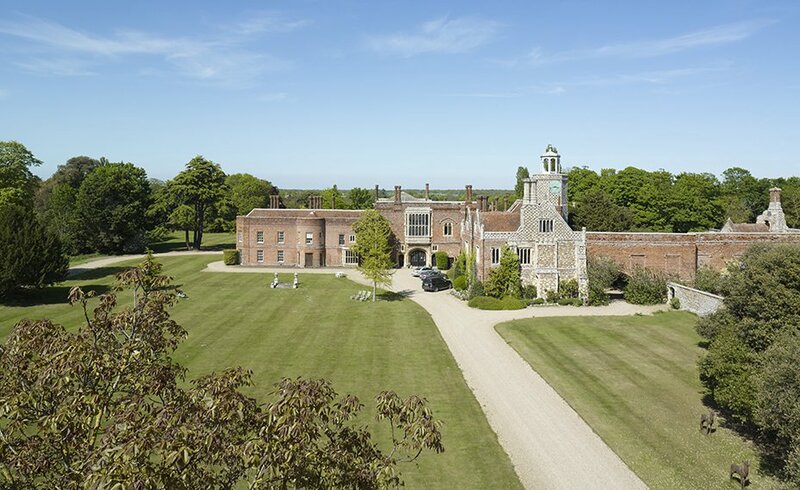 In 1712 the estate passed to Frederic Zuleistein de Nassau, the 3rd Earl of Rochford, who is regarded as the creator of the fine house that existed at St Osyth in the 18th century. Rochford concentrated his building work on the west wing of the Darcy House and added westward onto the old Bishop’s Lodging creating a series of entertaining rooms which continued round to meet the west range of buildings to form a partial quadrangle. There was an oval carriage sweep and lawn to the north of a deep block and wilderness gardens to the west of this on the site of the old monks’ cemetery. The extent of the 18th century work is considerable and included alterations to the Gatehouse where the second floor drawing room retains its cornices of this period and to the west range of the Gatehouse which also retains many 18th century features. The garden and park owe much of their current form to the Rochford period, the 4th Earl being a keen plantsman and au fait with all the current trends. The northern access and lodges, the ha-ha, pleasure grounds and the introduction of the Lombardy poplar into England [c. 1768] all date to the Rochford period. Frederick Nassau, illegitimate son of the 4th Earl, was responsible for modernising the estate around 1800. It was maintained in this form until the death of his son William in 1857. The estate fell into disrepair following the death of William Nassau and two thirds of Rochford’s house was demolished. The estate was finally sold at auction to Sir John Johnson in 1863. He commenced his own building programme, demolishing existing buildings behind Abbot Vintoner’s surviving screen wall and creating the sumptuous apartments seen in Darcy House today and extending a range of service accommodation to the east. Johnson undertook the conversion of the monks’ dorter into a chapel. The Japanese garden and lily pond together with the topiary and rose gardens within the Darcy walls are all part of his legacy. Sir John died in 1909 and the Estate was maintained by his adoptive daughter, Lady Cowley, until her death in 1920 when it was sold. 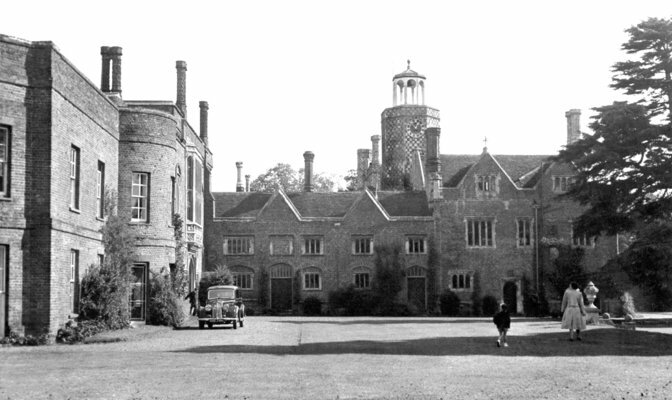 The Priory was acquired in 1948 by a Friendly Society for use as a convalescent home. It was subsequently purchased by Somerset Struben de Chair in 1954, and he carried out limited restoration of the Gatehouse and adjacent ranges. Sadly since the period of Sir John Johnson there has been dwindling investment in the well-being of the estate and maintenance increasingly became a low priority, until it was virtually non existent. De Chair demolished the North Lodges and Workers’ Cottages and sold mineral rights over large tracts of the Estate, resulting in the large areas of gravel workings that remain within the historic parkland today. During his ownership De Chair also sold off large parts of the estate. He married Juliet Wentworth Fitzwilliam, the heiress of the great Wentworth Woodhouse art collection in 1974 and part of this collection was on display at The Priory and helped bring over 20,000 visitors to The Priory when it was open to the public. Even this large influx of visitors sadly did not result in any long term benefits to the historic estate. Sadly De Chair died in 1995. His trustees, on several occasions, attempted to sell the estate but despite the undoubted inherent attraction the estate possesses the enormity of the responsibilities and the scale of the investment required to repair the estate conspired to frustrate the sale process until the Sargeant family purchased it in September 1999.